Sold in Pair, Includes Two 34"W X 36"L Panels. Sold in pairs, includes two 34"W panels and two matching tie backs. Victoria Park Bradford Valance is an elegant large scale toile printed on 100% off white cotton duck. Victoria Park has a 3" rod pocket and 2" header. Use two times your window width in fabric, use multiple valances for larger windows. 100% Cotton. Matching tier pair, tailored panels, tailored valances and tie up valances sold separately. I purchased these valances for my kitchen and family room and just love the look. These valances are very well made and would make a lovely statement in any room. I am so happy that I found Swags Galore and will definitely return! I have ordered from Swags Galore before. Their customer service is excellent and delivery prompt. The valences are well made, attractive and a nice weight of fabric. I am really pleased with my purchase and would order from Swags Galore again. I purchased 3 balances for 3 -30 inch Windows. Perfect size. Color was as pictured on site and quality was excellent. Fully lined and beautifully finished. Will definitely purchase again from this company. Excellent service as well! My first visit to Swags Galore and I will continue to shop here regularly. Exceeded timeframe for delivery, great product! Hung the valances as soon as I received them. They made the room look so elegant. ProsHang beautifully. Very good workmanship. Great fabric. Love It..Love it...Love It !! These are exactly what I was hoping for....they are gorgeous! I looked around in other shops online, but never founded the "right one" ...Then, to top it off and make me even happier.... they were at my door in 2 days! I was shocked! Has to be the fastest I've ever received an online purchase of anything..did I say every...? Very pleased with these curtains and will most definitely be back to order here again and again. ProsFast response, great quality, great price and speedy delivery !! I love my Victoria Park Bradford valances. The fabric is a nice heavy material & the checkered fabric is not just an attached border but runs the whole way underneath the toile. I had been looking online at other valances that were 2 & 3 times as expensive & I was thinking of making my own but I'm thrilled that I bought these plus I saved money. I was delighted at the quality of the swags. Not only that, they were far less expensive than I had found anywhere else. I will definitely use Swags Galore again! The material is of good quality and needed very light ironing in order to hang. It holds a nice shape while hanging....very happy with this product! I got three different valences in this print and I love all of them! Great value and great quality! Great quality. Item was better than expected. These valances were just what I was looking for. The fabric is wonderful and look great hanging. Patterns match perfectly when using more than one on a rod! They are all I expected, great quality, for a good price. Very good product and is the perfect look for my home office. I had ordered 3 of these valances and I love them! I had redone my kitchen in white cabinets with black accents and painted my walls a deep cherry red. The valances are perfect and give the look I was hoping for!!! Love my blue and white toile! It's very nice quality and goes well with the dishes I have displayed that my motherinlaw left. It has an 'old world charm' feel. My window is long so I ordered two. Lovely addition to my office/library. Items ordered came very quick. I love the feel and look. These curtains are wonderful and superior quality. I received my shipment the same week I ordered them! I will definitely order again! Swags Galore website, ordering process and shipping is excellent. I placed an order on a Monday and receive the product with in three days! 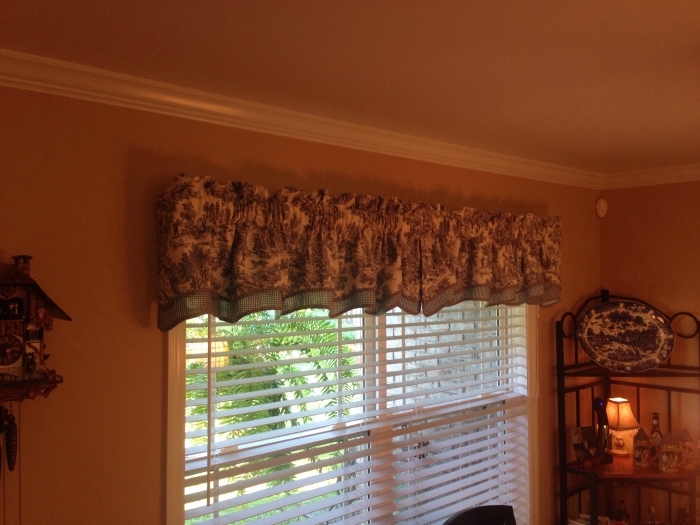 Valance is absolutely beautiful and quality of fabric is excellent too! I would definitely recommend Swags Galore to anyone! ProsExcellent selection, excellent price, excellent quality, and fast shipping. Great experience with Swags Galore! My curtains shipped promptly and arrived on time. The quality of the material is excellent, true to color and they look awesome! I will be using this company again for sure. I am so pleased with my purchase, these valances are beautiful and of highest quality. Friends think I had them custom made! Thank you for such a wonderful product at a reasonable price! Love these! They arrived quickly, are sewn well, and I'm very happy with the quality of the fabric. I love this valance! It is so cute & is good quality. Nice & thick. I would totally recommend this valance if you like the country look. You will be very happy! ProsIt is made very well, the valance is thick & sturdy. Love the print and the colors. Can use in many of my rooms. Super service. 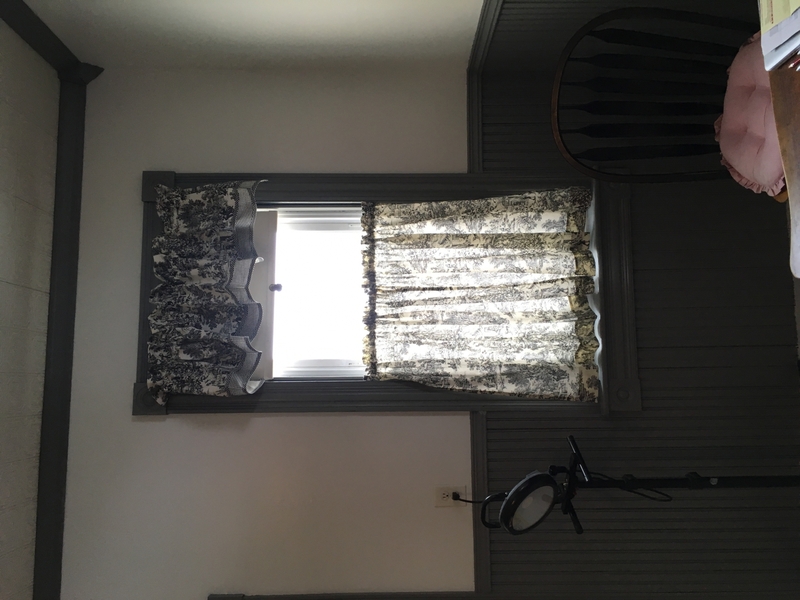 The color of this valance was perfect match for the color of the room and I could hardly believe it. I was in seventh heaven! I was very impressed with how soon I received the order. Thank you so much. I ordered 4 Victoria Park Toile swags in Black for my kitchen and they are perfect. ,Great service, nice quality and exactly what I was looking for with a good price. LOVE these swags !!! First thing people notice when they walk in . Everyone tells me that they MAKE the kitchen very homey. LOVE THEM. Quick delivery. Very pleased with this valance. Well constructed and price is very competitive. I was so surprised by the excellant quality of these valances. The price is outrageously inexpensive compared to other curtain stores. MADE IN THE USA too! I will look here first for my curtains from now on. Beautiful color green. I needed 2 per window to make the tie look like the picture. ProsThe color was just wonderful. I had never seen toile in the green before. ConsI didn't like having to use 2 valances to achieve the look. Very good quality-fast shipping-only problem is having to pay separate $9.00 shipping on valance and again on tiers. Well worth the price. Very good quality. Very pleased with them.